Stylomastoid Foramen is an opening located between the styloid and mastoid processes of the temporal bone, and it has some clinical significance in patients suffering from Bell’s Palsy which is the inflammation of the facial nerve at the point where it leaves the stylomastoid foramen. What passes through Stylomastoid Foramen? This foramen is the end of the facial canal, and it transmits facial nerve and stylomastoid artery. it is the main motor portion of facial nerve that passes through the Stylomastoid foramen. The Facial nerve travels along the bony canal and proceeds the nerve towards the stapedius along with chorda tympani. The root of the styloid process is anterior to the stylomastoid foramen and lateral to the jugular foramen. The structures present around Stylomastoid foramen are Styloid process are – mastoid process, jugular surface and stylopharyngeus. Bell’s Palsy is a form of facial paralysis that is caused due to either dysfunction or the inflammation of the facial nerve (7th cranial nerve). It can be caused due to the inflammation at the stylomastoid foramen where it leaves the skull. In most cases Bells Palsy is caused due to lesion along the course of its path which needs to be determined using diagnostic methods but the most common location is the entrance of stylomastoid foramen. Symptoms of Bell’s Palsy are drooping of the face on the side affected, along with the inability to close the eye on the affected side which is called ipsilateral loss of motor function. The inflammation at the foramen is not the only cause but is one of the major causes of Bell’s Palsy. 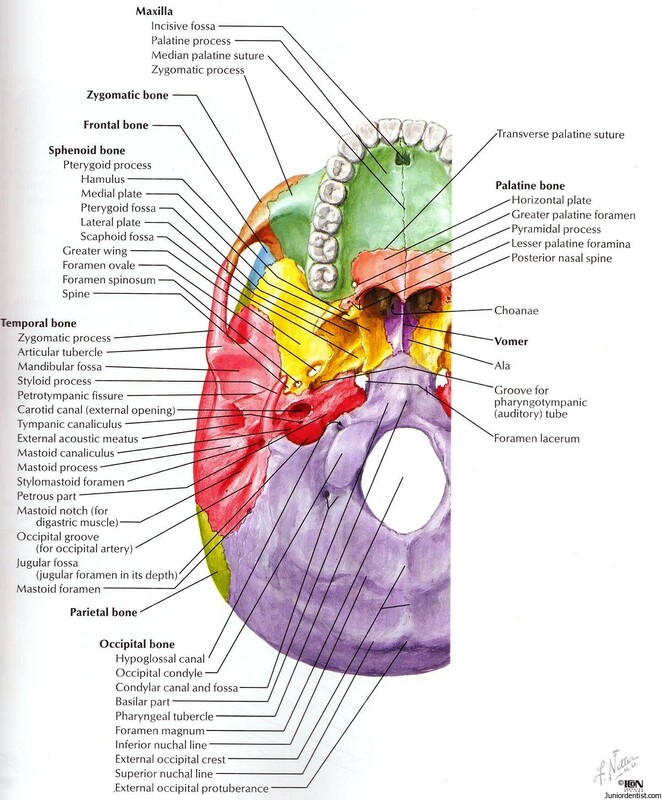 The other foramina of skull include foramen magnum, foramen ovale, foramen spinosum, foramen lacerum among others.